Do you need a craft beer branding strategy? Branding experts Ignite Beverage share their key tips. Deciding on a branding strategy for your craft beer is an important decision for any brewery. With such a wide variety of craft brews on the market these days, differentiating your product and making it stand out to the consumer are key. That's why we asked branding firm Ignite Beverage in Oregon to share their key tips for making a craft beer stand out. So why does your craft beer branding strategy matter? The most important reason is that the latest industry research shows beer branding, in particular beer labels, is becoming increasingly influential in consumer purchasing intent. According to Ignite Beverage, the branding phenomenon signals a notable shift in the industry - one that all brewers should undoubtedly be aware of. In an already-saturated marketplace making great beer - sans the fancy packaging - doesn't seem to be enough to reel in craft beer consumers. 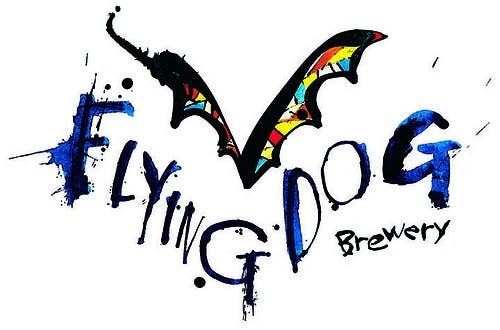 Now labels, from the unmistakable artwork of Ralph Steadman on Flying Dog Brewery bottles to the simple “R” of Reuben’s Brews, are now part and parcel of any craft brewery brand’s appeal. As a result breweries are beginning to use the services offered by graphic design and branding firms. In turn, these companies are helping brewers (and other beverage producers) to create strategies for their labels and logos (amoung other types of packaging) that are both eye-catching and representative of the company's branding and mission. Dave Bourne, president and creative director at Ignite Beverage, shares his own tips on seeking outside help with your brewery's branding strategy: “It seems obvious, but you’d be surprised how many breweries invest half a million dollars in equipment, only to get their cousin to design a cheap label to slap on a bottle! Unless you have a highly experienced graphic designer in your family, I always suggest finding an outside agency. The market today…you’ve got to stand out, and be different. You have to do something interesting and cool and fun." According to him, figuring out how to make your craft beer brand stand out should be as much a part of the initial business launch as your production or business plan itself. Today, beverage producers have a bevy of choices at their disposal when it comes to branding their craft beer. From small, specialist agencies to international design firms, it’s hard to know which direction to go in when deciding on a company to help with your brewery's branding strategy. Dave Bourne's advice is thinking big picture: “The idea is…you need to design the packaging and branding holistically; you can’t just slap a logo on a bottle, and call that good". For existing craft beer branding, getting your strategy in order doesn’t mean having to start from scratch. According to Ignite Beverage, the key is focusing attention on your brand in a “new and interesting way". In order to do that, their tip is to start by exploring how you, as a brewer, see your own product - and then trying to figure out how that perspective translates into any original design ideas. Let’s consider the shape of a bottle label, for instance. Bottle labels as a branding strategy don’t necessarily have to be rectangular; they can be custom-cut into any shape at little cost. Graphic design firms can provide a great deal of insight into how to best communicate your company's values and guiding principles through a variety of bottle label shapes or any other kind of packaging, for that matter. That being said, these types of big branding decisions inevitably come with cost constraints as well. As Dave points out, “I don’t know what brewery wouldn’t want their logo stamped right onto a glass bottle…but what it really comes down to is price. With custom bottle orders, you often have to order 20,000 bottles or more at one time… and often, it just doesn’t make economical sense to do so". This is a situation where using an online marketplace like Kinnek can help you to better understand if and where those constraints might come into play. Beyond designing your craft brew's bottle label, most creative agencies offer a variety of other services that can hep strengthen your brewery's overall branding. Digital marketing through website design or developing a branding campaign for a particular product or beer can usually be billed as an "add-on" service to any custom label design job for instance. This can be especially useful for new businesses or any company without an in-house marketing team. Your craft beer branding is your brewery's story. That story can be a really powerful way to build a relationship (and sales!) with customers. How that story develops is ultimately up to you...and potentially, your branding consultant! So, what does that mean for other brands? Bourne cautions against going with similar themes even if the subject matter is different: “Similar themes really bother me – certainly a mountain can be done in different ways. When it comes to craft beverage branding, there’s a fine-line between what's eye-catching, and what's totally outlandish". So, how do you determine the right strategy? Ignite suggests, “thinking about what your package looks like, the type of bottle you’re using, and how all of these features factor into production.” Citing the various ways in which the craft brewing industry is currently experimenting with package size, the brand marketer says it's up to the business to decide how their packaging will ultimately align with their brand. Once you’ve settled on your packaging and a great design for your craft beer, Ignite Branding's top tip is cautioning against scaling too fast. “Stay local - don’t expand too quickly just because, all of a sudden, you get a bunch of offers to distribute outside of your area. We've seen too many companies do this in outside markets where they didn't have solid - or even any - branding support and/or brand appeal." In the end, choosing your beer bottle labels, packaging, and overall brand strategy are just several of many different aspects of growing your small beverage business. They do however provide important ways to think about a consumer's view of your product and potentially size up your sales. For many craft breweries, promoting their business is a hot-topic. We show you three easy ways to promote your brewery using merchandising as a cost-effective, quick method to get the word out.